With the start of GSMA's Mobile World Congress, Cequens, theMiddle EastandAfrica'sleading Cloud Communication Platform made its strong debut climbing to the top influencer position for Mobile World Congress in just two days, according toConnecticutbased data analytics firm, iTrend. 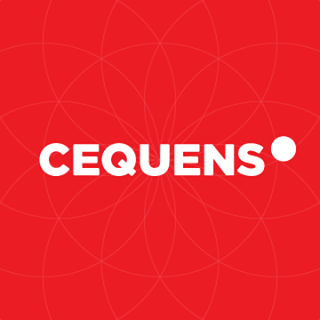 For the third year in a row, the services and positioning of Cequens in A2P SMS wholesale and enterprise services attract distinguished visitors and partners from all corners of the world. With a massive network of mobile operators and international SMS hubs, Cequens enjoys a partner alliance network like no other, the cornerstone of the company's promise of quality coverage and premium A2P SMS termination in the Middle East and Africa. On the importance of MWC to Cequens, Hania Tolba, Cequens VP of Carrier Relations and Wholesale said "MWC is the industry's most prestigious event, and remains our biggest opportunity to network with our partner network that hails from all over the world"
Along with the all-red, 6-meter-high, and 40 square meter stand, Cequens launched MWC Quest, a daily competition for MWC visitors and online social media fans and gave away four iPhone 7 devices to anyone who finds one of the 20 company representatives roaming around the massive halls of Barcelona's Fira Gran Via where the world's largest mobile event takes place every year. 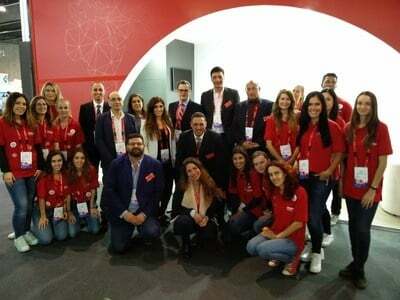 "We are proud of our GSMA membership and positioning as an SMS hub, and we are always on the lookout for partnership opportunities with the GSMA" said Karim Khorshed, Cequens CEO "This is our sixth year in a row to participate at Mobile World Congress, and we look forward to many more to come" he continued. "Mobile World Congress marks the first step of our global expansion plan" explained Dr. Khaled Sherif, Cequens Group Chairman "With several acquisitions planned in 2017, we are looking forward to further cementing our foothold in the Middle East and Africa" he continued. The digital buzz created by Cequens resulted in the company becoming Top Influencer on social media for several hashtags including #MOBILEWORLDCONGRESS, #GSMA, and #MWCBARCELONA2017 according to iTrend Data Analytics.